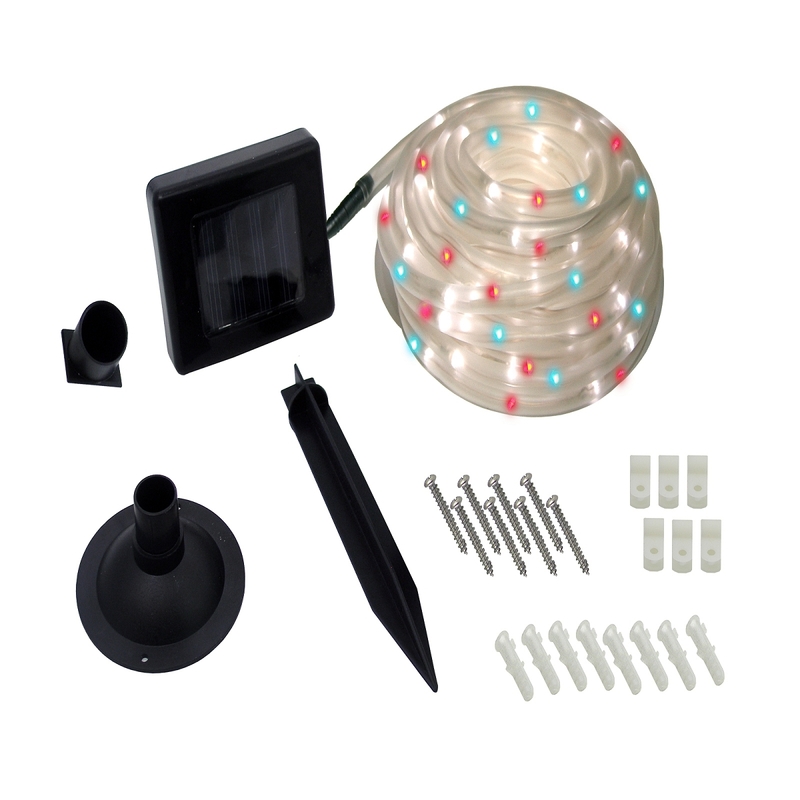 Solar LED Rope Lights are the ideal way to enhance your lawn and garden decor lining walkways, windows, trees, gazebos, fish ponds, stairs, deck railings and any other outdoor lawn and garden object or area you can imagine. 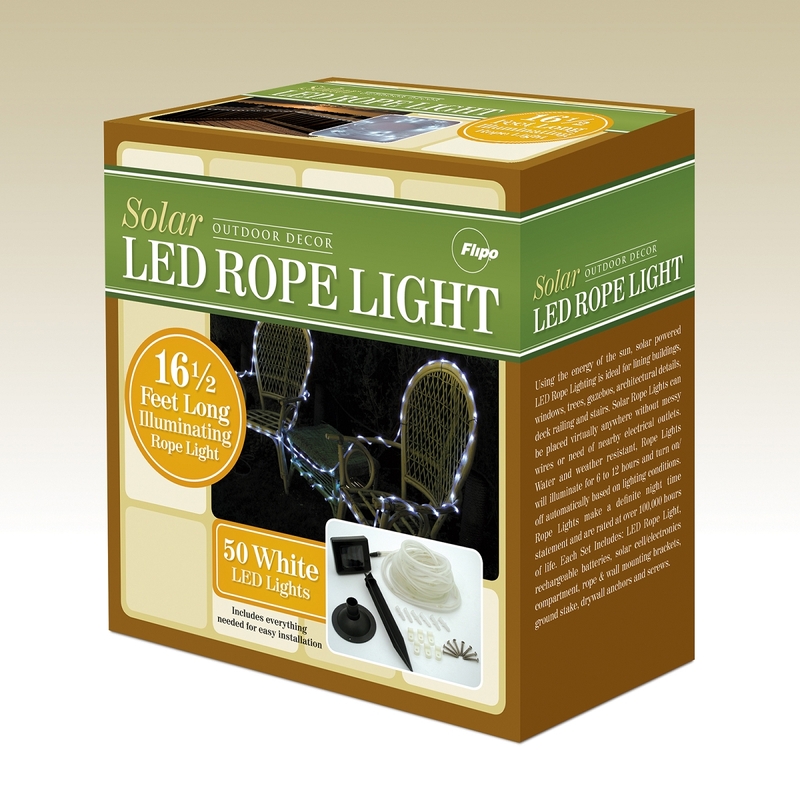 Solar LED Rope Lights help reduce expensive electrical bills by harnessing the suns power. 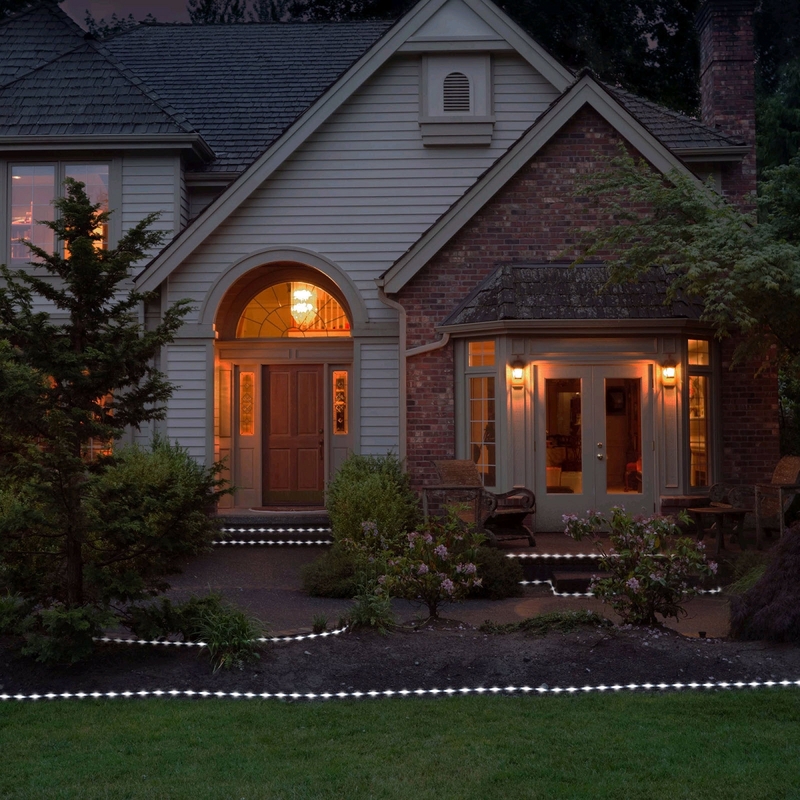 Flipo Solar LED Rope Lights eliminate the inconvenience of messy wires or the need of nearby outlets. 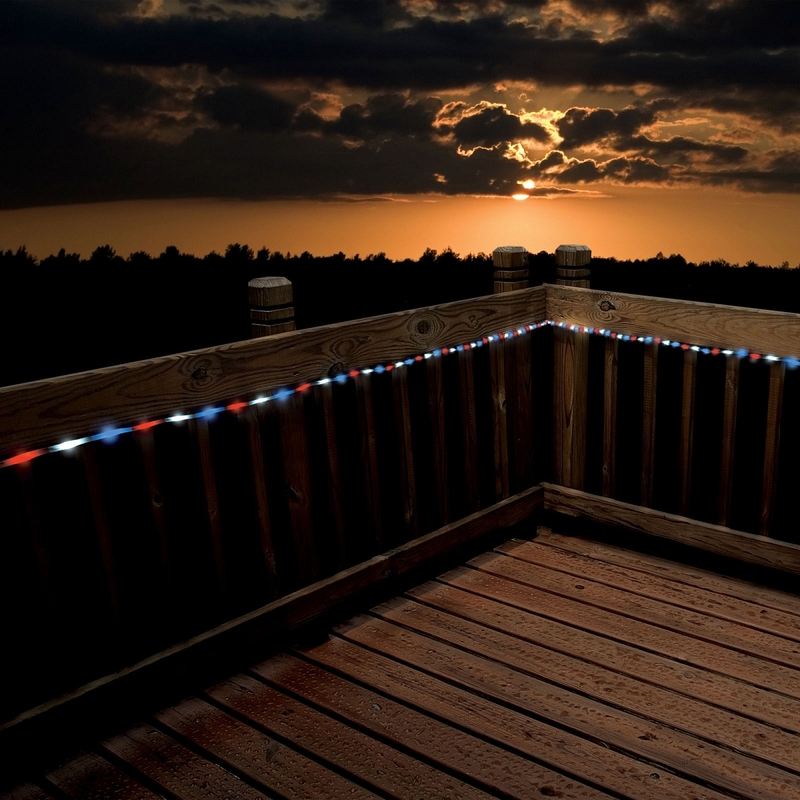 Solar LED Rope Lights turn on at sunset and turn off automatically via the built-in light sensor. 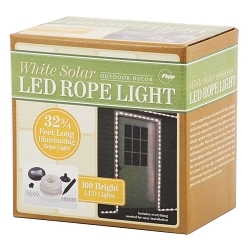 Our 50 LED Solar Rope Lights are available in White, and Red White and Blue. 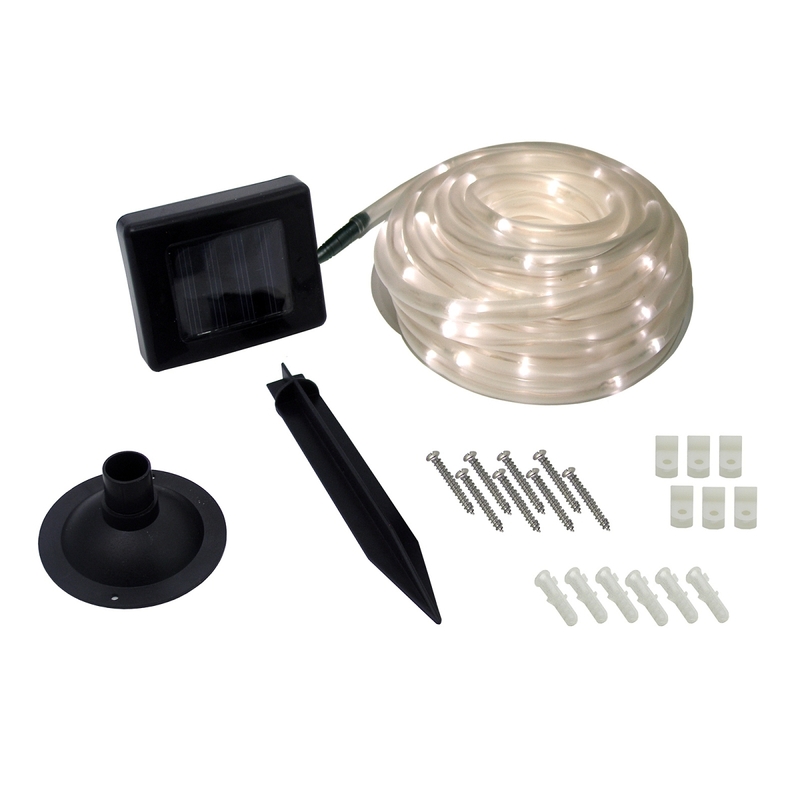 Total of 2 Illumination functions include "steady-on" and constant flashing. 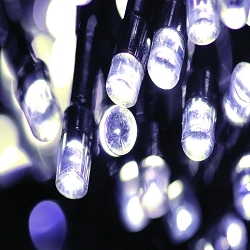 Weatherproof and Water Resistant. 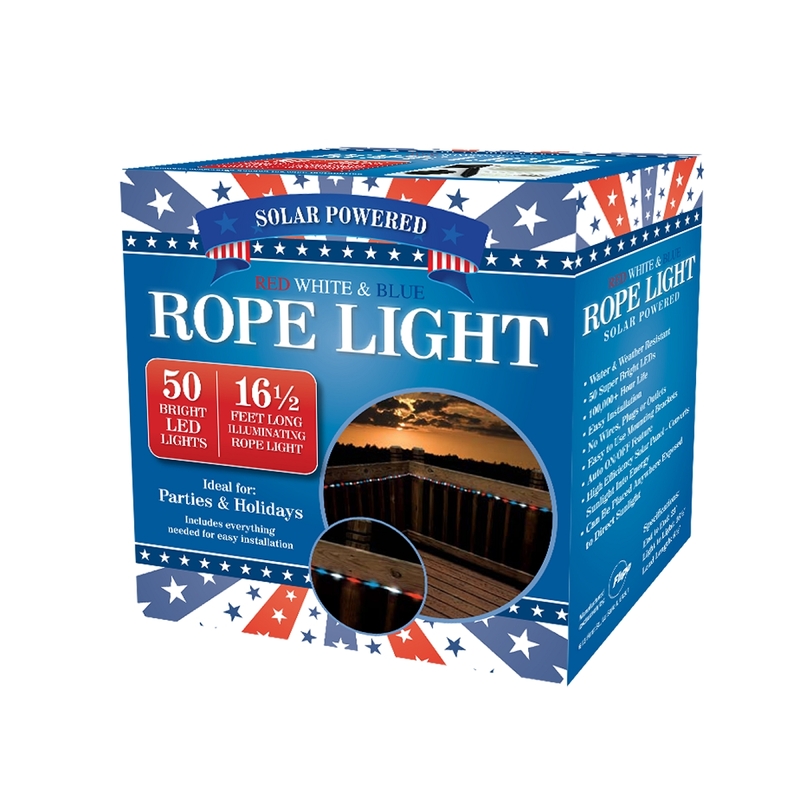 Total Rope Light Length: 23 ft.